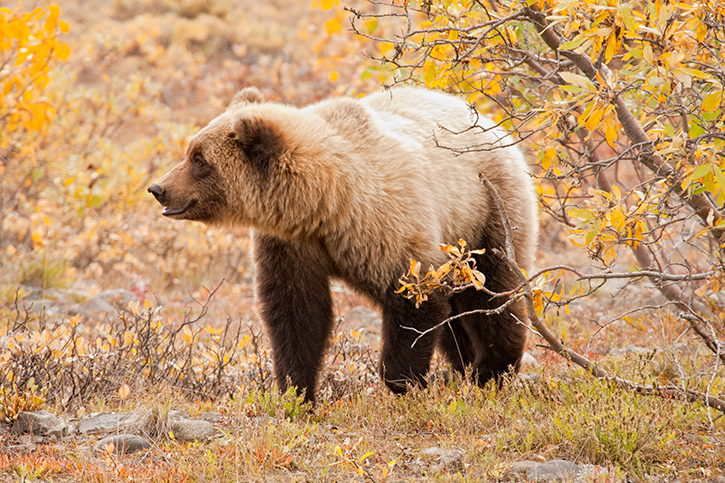 Denali National Park encompasses more than six million acres of mountains, glaciers, valleys and rivers. 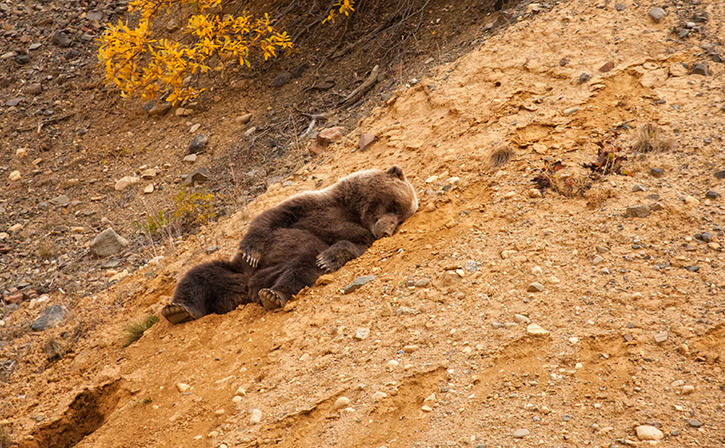 It is renowned for its unparalleled scenic splendor and array of wildlife. At 20,237 feet, Denali is far and away the highest mountain in all of North America. 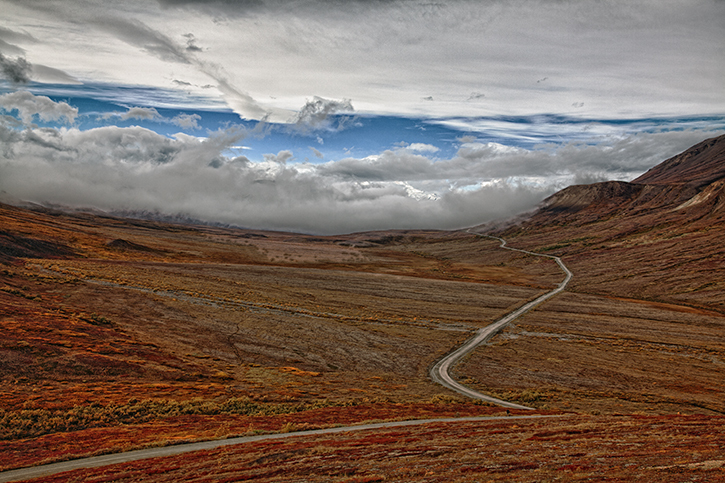 A single 91 mile road runs east to west through the park to the former mining camp of Kantishina. The road is paved for only the first 15 miles and the remaining 70 plus miles are navigated by buses. The roundtrip from the park entrance to Kantishina and back takes a full day. Several years ago I flew into Anchorage the last week of August and rented a motorhome and headed to Denali. I camped inside the park at Teklanika Campground which is 29 miles inside the park. 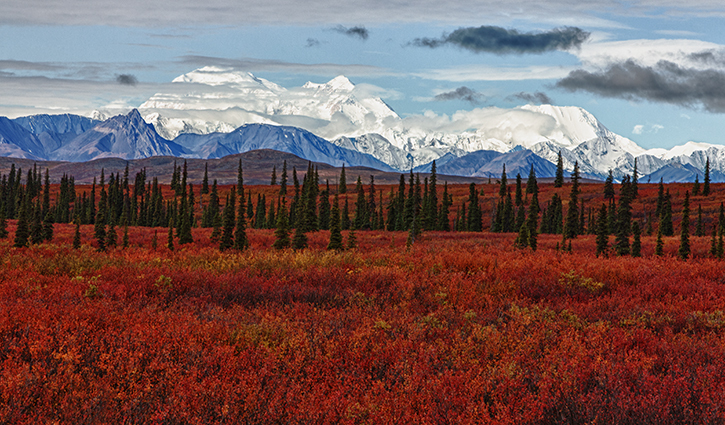 It was already fall in Denali. Every morning I boarded the bus and headed to Wonder Lake which is an all day trip. Sometimes I would get off the bus to photograph and hike and then catch the next bus. Words can not describe the beauty so I’m going to let the photographs tell the story. 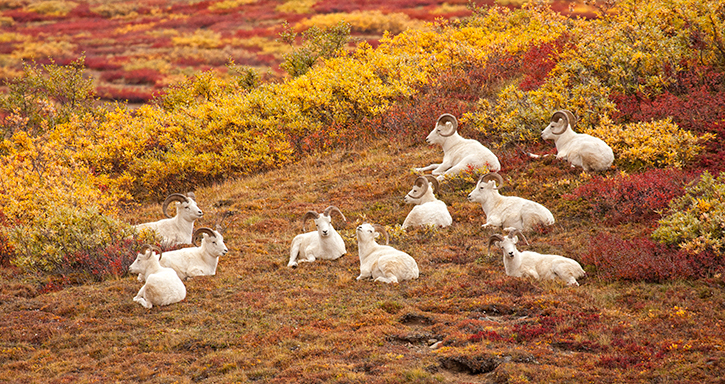 This entry was posted in Uncategorized and tagged Alaska, Dall Sheep, Denali National Park, Grizzly Bear, photographs of fall in Denali National Park, Renee Lowery Photography on March 14, 2014 by rlowery711. Beautiful. I was there in 1987 with Bill who worked AK with BLM for 7 years.